One of the greatest treasures in the world. And its historical and artistic heritage. Understanding the magnificence of Florence is a courageous act that involves knowing how to look beyond postcard images and mass tourism. A jewel to be discovered every day, proud of a cultural tradition that only a few other cities in the world can boast, full of secret gems and new corners. Among the many possible ways to tell Florence, we decided to ask the help of those who live this city every day or who chose it as their destination for life. And we have discovered a city that continues to reinvent itself, from the Renaissance up to our days. Florence – or the spirit of Renaissance. 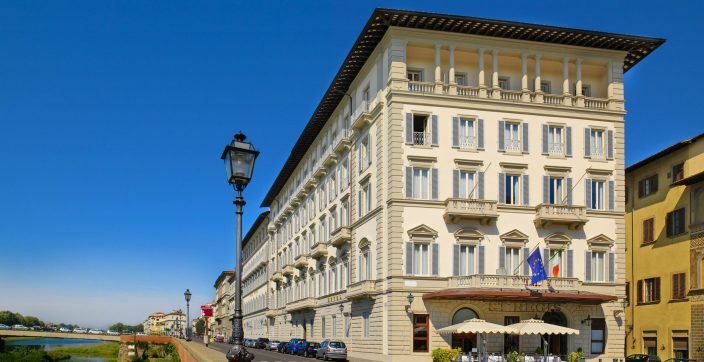 The soul of a majestic capital enclosed in a small town, surrounded by enchanting hills along the Arno river and rich in historical and artistic treasures. 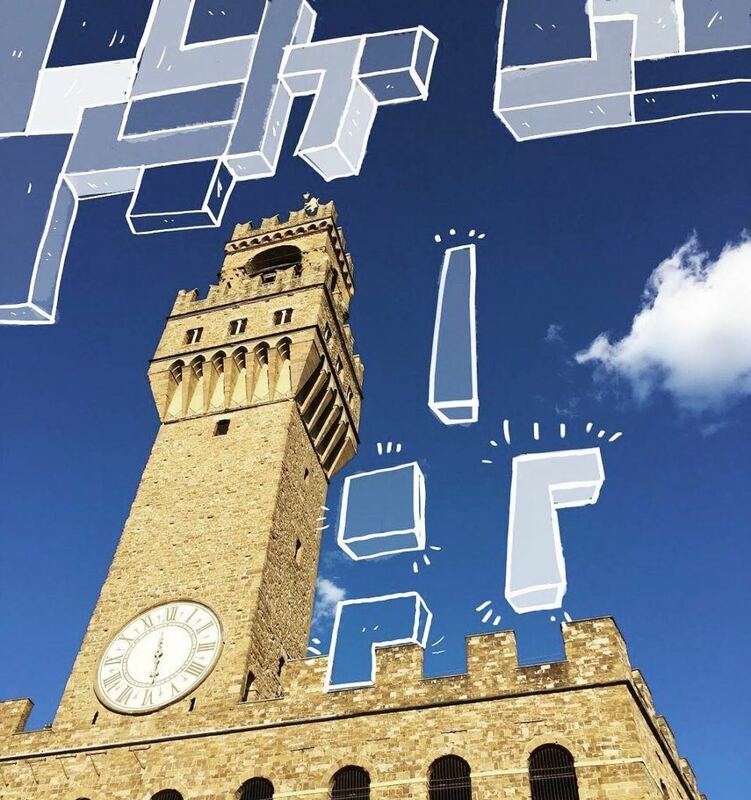 Florence can transform itself and put tourists and travelers from all over the world at ease in a short time. A city to savor in all its complexities and facets, sipping a glass of Chianti or tasting a Florentine steak. 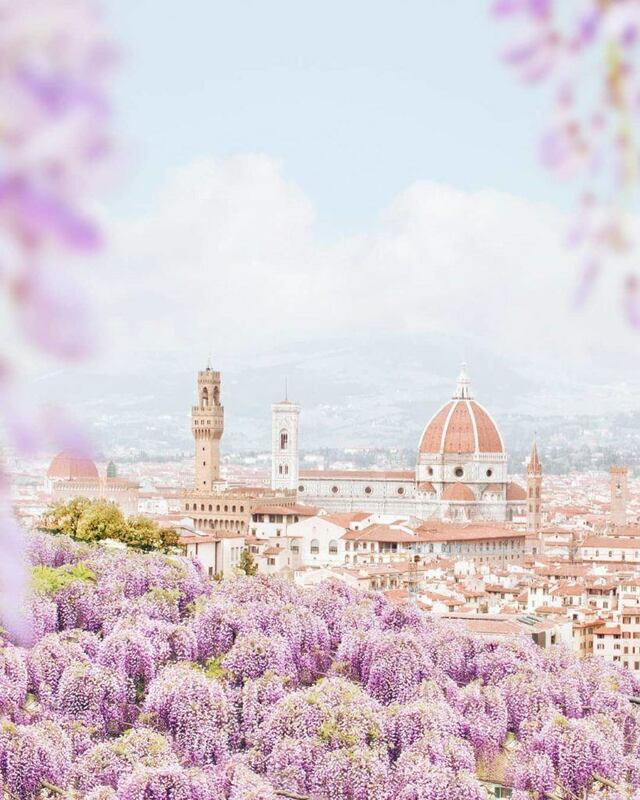 We asked six Instagramers what it means to live in Florence and breathe every day the air and spirit of the Italian Renaissance Capital. And we discovered a city capable of marveling its inhabitants every day, beyond the huge and sometimes cumbersome historical legacy. Florence is small and intimate, is a walking city: just find a map and find your way around the city on your own two feet. There are so many deliciously empty side streets that let you wander in peace. 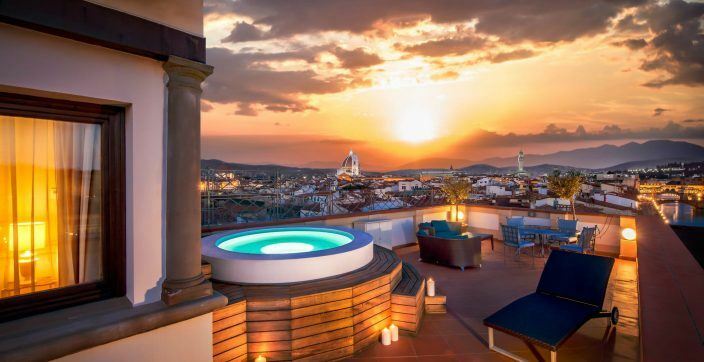 There are so many breathtaking spots: from the top of Brunelleschi Dome or from the top of Giotto’s Campanile, you can see the best view on florentine red roofs. You’re in the heart of Tuscany, and the food reflects that: red wine, panini and Florentine meat. Whether it be daytime or nighttime, Florence always shines. At night, the city seemed to come on life as the lights covering Ponte Vecchio cast a beautiful reflection in the water, the Duomo can be seen across the city. For me, Florence is pure magic. Since I was a child I always had something in my hands that would allow me to draw: a pencil, a crayon, a brush, a chalk or even just a pebble. Anything I used it to draw. When I was a teenager I discovered photography and I realized that both this passion could complete themselves, giving shape to an amplified, dilated reality full of new emotions. 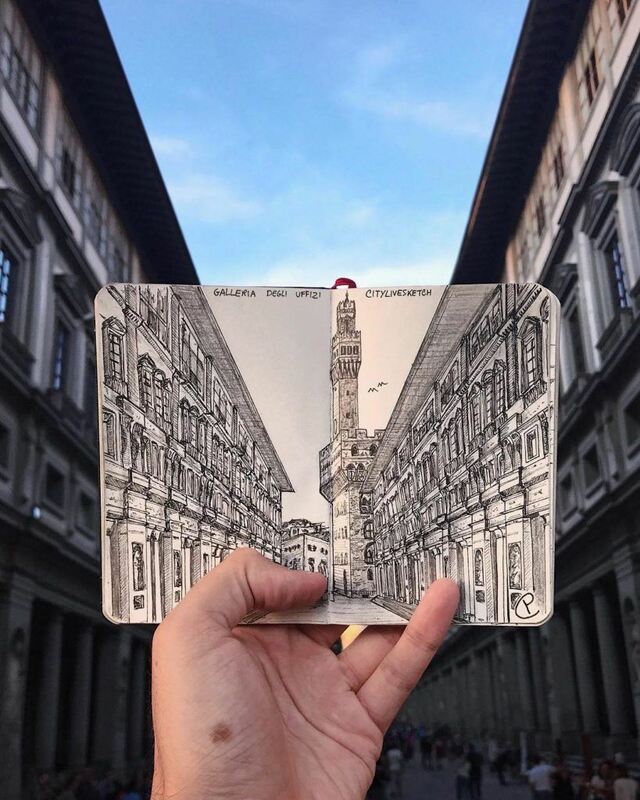 Florence is where these two passions of mine met each other, creating my photographic illustrations. And where, if not in this city, where can you breathe art with full lungs?! I love getting lost in the alleyways, where every stone, a window overlooking the street or wall, asks which characters they met and what story they can tell me. If you ask me for a favorite place in Florence I would choose the one that best represents it: the Oltrarno, where the tall buildings close small streets and stand out imposing and solemn. You know, however, that among them you will always find a small door that will lead you to the heart of the building, where there is a splendid frescoed courtyard or a green and fragrant garden. And so it is Florence, sometimes with an imposing and austere aspect, but then it turns out to its tender side and greets you with one of its sunsets, in a warm embrace. Sardinian by birth and Florentine by adoption. I’ve been living in Florence for 33 years but it continues to surprise me every day.. little at the right point and beautiful. Every corner of the city is rich in history, from the most famous monuments to secondary roads. Photography allows me to tell the city through these less known places always looking for different points of view. Florence is my home. I was born there, I’ve always lived there and I could not do without it. But although I know it as my pockets, it is a city that still does not cease to amaze me and catch me by surprise: an unexpected glimpse through the narrow streets of Oltrarno, a different shade in a sunset from Piazzale Michelangelo, a small square hidden by the usual tourist itineraries, a restaurant that enhances the traditional flavors in a new way or one of the new street artists that embellishes a suburban wall. Florence is my cure for everything. I love walking along the banks of the Arno, watching the facades of the buildings change color according to the seasons and stop on the Ponte Santa Trinità in the late summer afternoons, when it becomes one of the most beautiful meeting places. There is everything for everyone at that time, for those born here and for those who are just passing through, all united by the desire to live a moment of rare beauty. Instagram is a great travel companion in these moments and during my daily rediscovery of the city. It helps me to stop the moment, to seize the moment on the fly and to share it, to savor the life of this city that, despite being so rich in history and in the past, is never the same. Florence has always been one of my favorite Italian cities for its wealth of monuments, museums, works of art and picturesque landscapes. 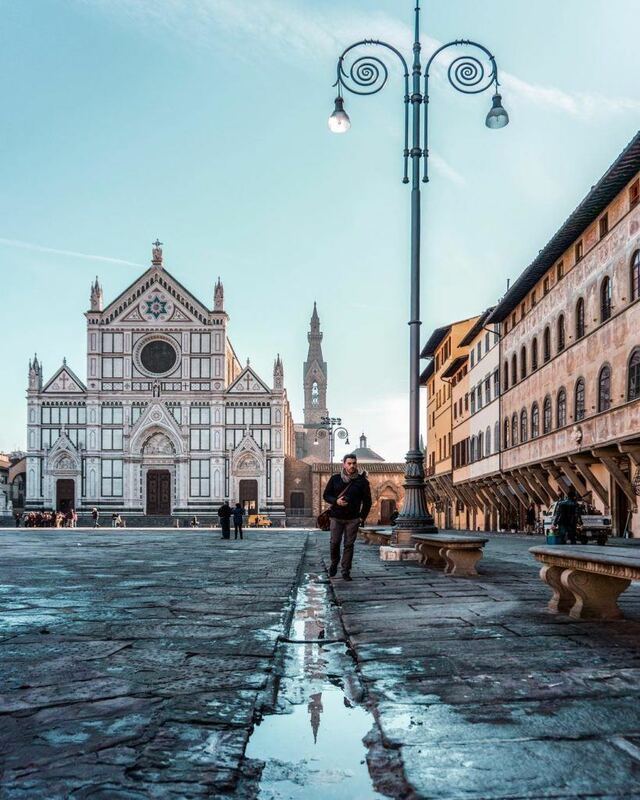 The Basilica of Santa Maria Novella, the complex of the Cathedral of Santa Maria del Fiore, Piazza della Signoria and the Basilica of Santa Croce are just some of the stops you can not miss on a trip to Florence. The places that I can not help but visit for their timeless charm are Ponte Vecchio, with its characteristic colors and goldsmiths shops overlooking the Arno, Piazzale Michelangelo, from which you can enjoy a breathtaking view of the whole city and the Uffizi Gallery, one of the most visited museums in the world for the innumerable works of art kept inside. All this is only a part of the beauties that feature Florence, a real open-air museum that will always be able to amaze and excite its visitors every time as if it were the first time. 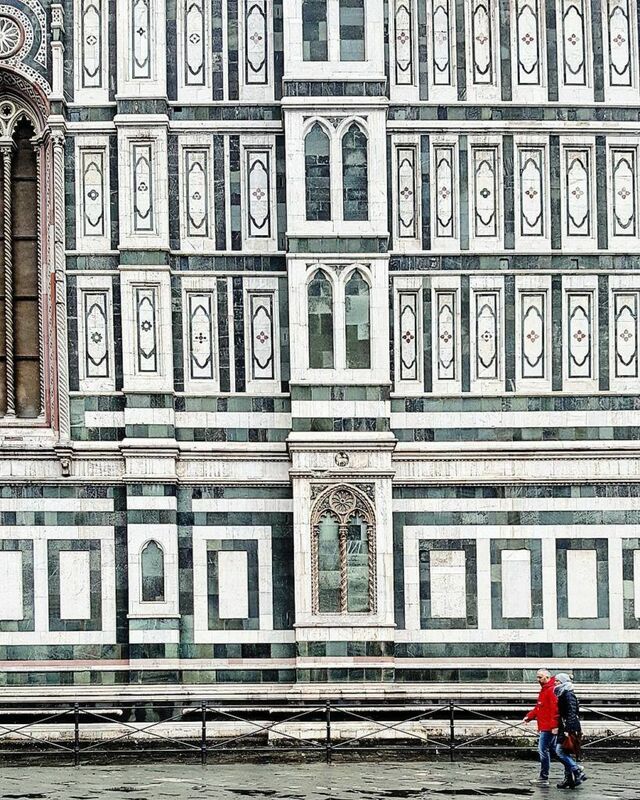 I have always admired the grandeur of the architecture of Florence. Its historic buildings that seem to be drawn with a line and compass, the Lungarni and the squares that strike me every time I pick up my camera and pretend to be a tourist. Piazza Santa Maria Novella is perhaps one of the corners that I like to discover piece by piece, from the arches of the basilica to the buildings that stand out all around tracing the perimeter: I never get tired of photographing it. 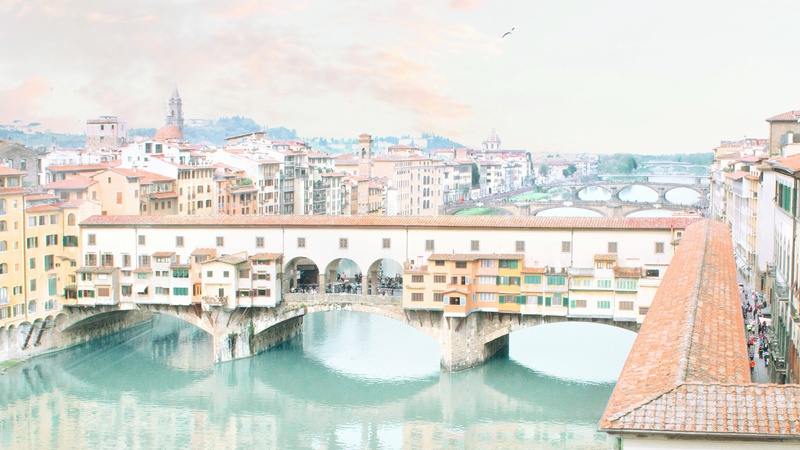 I love coming from the Uffizi and seeing Ponte Vecchio, which is reflected every day in the waters of the Arno as a jewel of its many goldsmith shops. 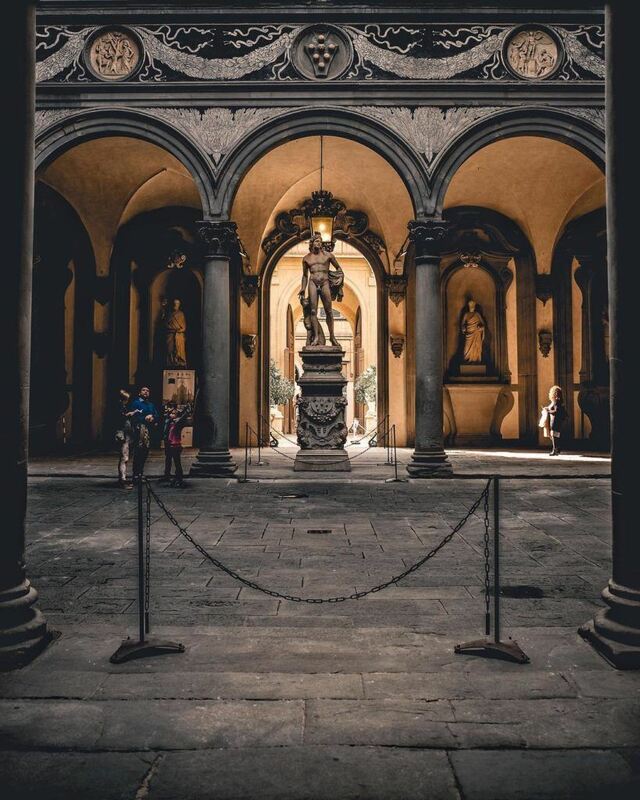 It is a city that tells a great past, which you see in the eyes of stunned tourists in front of the Cathedral of Santa Maria del Fiore or admiring the statues under the Loggia dei Lanzi, in front of Palazzo Vecchio. And then at sunset, as you take refuge in one of the many local Santo Spirito, its magnificence fades a little and leaves room for that feeling that makes you feel at home.